Renowned locally and internationally in the fields of Music and Performance, Kristian Nairn is a prolific homegrown talent. As a musician, Nairn has tread the boards with such acts as Scissor Sisters, Mylo, Calvin Harris and Alphabeat; as well as being part of bands such as AJ Suzuki and Dublin's very own Daddy's Little Princess. As a DJ and electronic music producer, he held down a residency for eleven years in Kremlin, one of Ireland's most popular and enduring venues. His remixes have been played in sets by some of house music's true legends, including the Freemasons and Grant Nelson. As a performance artist, Nairn uses his musicality to fuse together immense performances, often mixing and even playing the music himself. Transitioning from the stage to the screen, Nairn was voted one of the most memorable guests of Channel 4's The Salon and was consequently used in promoting the show's following season. 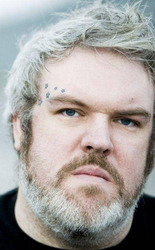 Nairn's most notable role to date, however, takes the role of the fan favourite character Hodor in HBO's series Game of Thrones based off of George R.R. Martin's New York Times best selling novels. During his free time, Nairn remains a loyal sci-fi and fantasy fan dabbling in not only his on-screen role of Hodor, but also finding himself on the [small] small screen via Blizzard's award winning game, World of Warcraft. Look for him online, behind his DJ booth or on set shooting Game of Thrones.